The 25-year-old is moving up from cruiserweight where he landed the IBF world title in June 2016 after beating Denis Lebedev in Moscow, defending it with a third round KO of Krzysztof Wlodarczyk in New Jersey in December 2017 in the quarter-final of the World Boxing Super Series and then adding the WBA crown with a dramatic final round stoppage of Yunier Dorticos in February 2018. That victory led Gassiev to a final with Oleksandr Usyk for the undisputed cruiserweight title, which Usyk won over the distance. Gassiev has mirrored the moves of Usyk by going up in weight and teaming up with Matchroom Boxing USA. Former world champions Peter “Kid Chocolate” Quillin and Caleb “Golden” Truax went face-to-face Thursday at the final press conference before they meet in an IBF super middleweight world title eliminator that headlines on FS1 and FOX Deportes this Saturday from the Armory in Minneapolis. Also in attendance at the press conference were top middleweight contender Sergiy Derevyanchenko and Jack Culcay, who battle in an IBF middleweight title eliminator. 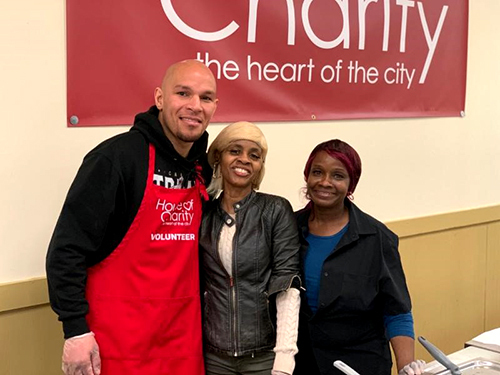 MINNEAPOLIS (April 3, 2019) - Minnesota-native and former world champion Caleb "Golden" Truax gave back to his community Tuesday as he teamed up with The Armory to serve meals at House of Charity, a cafeteria and shelter just blocks from The Armory, where he will face Peter "Kid Chocolate" Quillin on Saturday, April 13 in the main event of Premier Boxing Champions on FS1 and FOX Deportes. Truax was moved by the experience and related the struggles of the people he was helping to his own experience growing up and trying to make a career in boxing. Minnesota boxer Caleb Truax is hungry for a world title shot and he can satisfy that craving with a win over fellow former champion Peter Quillin this April 13 at the Minneapolis Armory and live on FS1 and FOX Deportes. But first, the Osseo native will do his part to knock out a different kind of hunger. 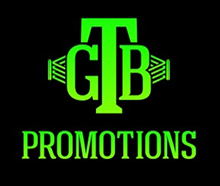 MINNEAPOLIS (March 26, 2019) - Unbeaten rising prospect Chris Colbert will take on Mexico's Mario Briones in a 10-round lightweight showdown that headlines Premier Boxing Champions Prelims on FS2 and FOX Deportes Saturday, April 13 from The Armory in Minneapolis. TICKETS FOR WBSS 140- & 118-LB BLOCKBUSTER SEMI-FINALS IN LAFAYETTE ON SALE NOW! 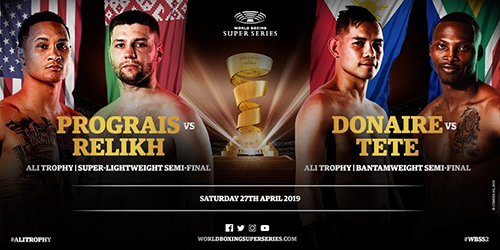 Tickets from $25 for the WBSS Super-Lightweight and Bantamweight Semi-Finals – Regis Prograis vs Kiryl Relikh and Nonito Donaire vs Zolani Tete – at the Cajundome in Lafayette, LA, USA April 27 are now on sale. American and New Orleans native Regis Prograis (23-0, 19 KOs) faces Belarusian Kiryl Relikh (23-2, 19 KOs), who is training in Miami, in a super-lightweight semi-final and American-Philippine Nonito Donaire (39-5, 25 KOs) meets South African Zolani Tete (28-3, 21 KOs) in a bantamweight semi-final. Tickets from $25 are available here. Top middleweight contender Sergiy Derevyanchenko battles Jack Culcay in an IBF title eliminator and rising prospect Chris Colbert returns to the ring on the card at The Armory in Minneapolis.MINNEAPOLIS — Former world champions will go toe-to-toe as Peter "Kid Chocolate" Quillin faces Minnesota-native Caleb "Golden" Truax in a 12-round IBF super middleweight title eliminator that headlines a PBC on FS1 and FOX Deportes card on Saturday, April 13 from The Armory in Minneapolis. Tickets for the event, which is promoted by Warriors Boxing and TGB Promotions, go on sale Saturday, February 23, and can be purchased at the Armory and through Ticketmaster. 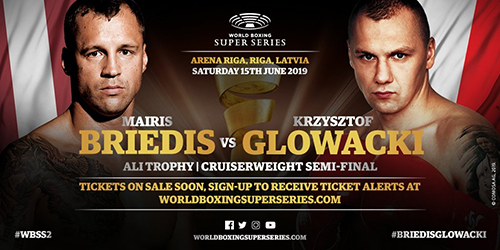 Latvia’s Mairis Briedis (25-1, 18 KOs) and Poland’s Krzysztof Glowacki (31-1, 19 KOs) continue their quest for the Ali Trophy in the 200 lb division on June 15 at the Arena Riga in Riga, Latvia. Briedis and Glowacki both defeated their hard fighting quarter-final opponents by unanimous decisions November 10 last year in Chicago. Briedis beat Germany’s Noel Mikaelian to claim a spot in the semi-final, while Glowacki took the win against Russia’s Maksim Vlasov. Once-beaten contenders Mark Anthony Hernandez and Jeison Rosario will rematch in a 10-round welterweight attraction as part of Premier Boxing Champions on FS1 and FOX Deportes Saturday, February 23 from The Armory in Minneapolis, Minnesota. 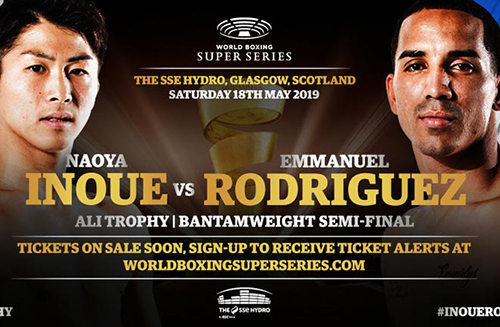 The main card begins at 10 p.m. ET/7 p.m. PT and is headlined by former super middleweight world champion Anthony Dirrell taking on top contender Avni Yildirim for the vacant WBC Super Middleweight Championship. PBC Prelims on FS1 will begin at 8 p.m. ET/5 p.m. PT and feature unbeaten cruiserweight Efe Apochi (6-0, 6 KOs) in an eight-round fight against once-beaten Earl Newman (10-1-1, 7 KOs), plus lightweight prospect Justin Pauldo (11-1, 5 KOs) in an eight-round fight against unbeaten Donovan Estrella (13-0, 4 KOs), and undefeated 20-year-old prospect Money Powell IV (8-0, 4 KOs) facing Javier Frazier (8-8-1, 4 KOs) in a four or six-round middleweight bout. MINNEAPOLIS (January 16, 2019) – Former super middleweight world champion Anthony Dirrell gets an opportunity to rejoin the championship ranks when he battles top contender Avni Yildirim for the vacant WBC Super Middleweight Championship in the main event of Premier Boxing Champions on FS1 and FOX Deportes Saturday, February 23 from The Armory in Minneapolis, Minnesota. By Mike Smith: #1 seed Mairis Briedis (25-1, 18 KOs) struggled to defeat fringe contender Noel Mikaelian (23-2, 10 KOs) by a controversial 12 round unanimous decision to win the WBC Diamond title in their quarterfinal fight in the World Boxing Super Series cruiserweight tournament at the UIC Pavilion, Chicago, Illinois. Poland’s Krzysztof Glowacki and Russia’s Maksim Vlasov have studied each other thoroughly before their Ali Trophy Cruiserweight Quarter-Final November 10 at the UIC Pavilion in Chicago. Tickets are available to buy via TicketMaster.com or by calling 800-745-3000. “I’ve watched a lot of his (Vlasov’s) fights together with my coach and we have tactics ready,” said 32-year-old Glowacki (30-1, 19 KOs). “Of course, he does have a lot of weak points but he also has a lot of strengths. “But I’m not focused on him, really. I don’t care what he does, what he eats or whether he sleeps a lot. I’m mostly interested in myself and what I do. Because I know that if I give everything, I’ll win. OFFICIAL WEIGH-IN – OPEN TO THE PUBLIC! Germany’s Noel Mikaelian believes he has what is takes November 10 in the Ali Trophy Cruiserweight Quarter-Final against Latvia’s Mairis Briedis at the UIC Pavilion in Chicago, USA. “Boxing is a really tough sport and somehow you get addicted to it," said 28-year-old Mikaelian (24-1, 10 KOs). “If you are a boxer, you are a boxer for life. Boxing taught me that I am really disciplined; I got a dedication for the sport and I never give up." Mikaelian is a former WBO Youth champion and WBO International Cruiserweight Champion, but his biggest test to date is only days away. Season I star Mairis Briedis (Latvia) vs. Noel Mikaelian (Germany) and Krzysztof Glowacki (Poland) vs. Maksim Vlasov (Russia) are the two Quarter-Finals on an incredible doubleheader when the World Boxing Super Series comes to the UIC Pavilion in Chicago, USA. Tickets are now on sale via TicketMaster.com or by calling 800-745-3000. The full exciting card for the event in Chicago will be revealed in the coming weeks. US fans can watch the boxers questing for the Muhammad Ali Trophy LIVE on the global sports streaming platform DAZN.